In 2016 the Loro Parque Foundation will support a total of 33 different conservation and research projects around the world - to the tune of a cool €1 million. 11.12.2015 - The foundation’s grants are aimed at initiatives for the conservation of biodiversity, the protection of endangered habitats and the sustainable use of natural resources. The coming year’s chosen projects were selected during the recent annual meeting of the International Advisory Board of the Foundation, which attracted guests from all over the world. An impressive 30 percent of the total will go to ocean-based projects that focus in particular on the research into and protection of whales and dolphins, and seven of the projects that make up that percentage will be based around the Canary Islands. Some conservation ventures have been funded by the Loro Parque Foundation for many years. One example of this is the research of the Institute of Animal Health at the University of Las Palmas de Gran Canaria. One of the organisation’s main jobs is testing stranded marine mammals for manmade pollutants - part of a central Atlantic Research Network whose goal is the creation of a protected area for whales and dolphins in the Atlantic region. In cooperation with the Elasmocan organisation an exciting new project will also be inaugurated in 2016 - for the monitoring of the population of angel sharks in Canary Island waters. The species is threatened with extinction, and the new aquarium in Las Palmas could play an important role in maintaining numbers of the shark in the future. In the area of ?? land ecosystems, 19 initiatives are supported worldwide for the protection of endangered species of parrots, including several long-term projects - some of which date back to 1995 and have contributed to saving several different species. 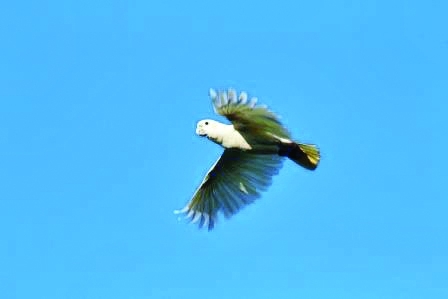 Examples include the Philippine Cockatoo, the Blue-throated Macaw in Bolivia and the Lear Ara in Brazil. Numbers within each species have stopped falling, but work must continue until healthy population levels are reached. Many of these initiatives not only protect the biodiversity of a particular region, but also habitats that cross borders. Numbers of that majestic king of the savannah, the African lion, are decreasing continuously. One of the moves that attempt to save its habitat joins areas that cross Angola, Zimbabwe and the Zambezi. In the last 21 years the foundation has supported 115 projects via donations reaching €16 million. Produced with news.CMS in 0,0741 seconds.